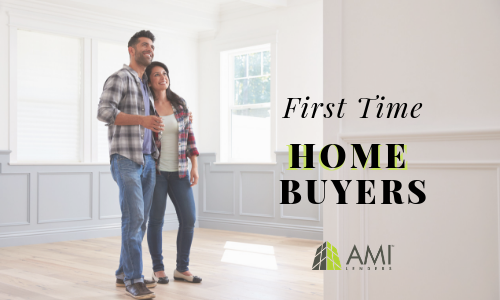 Are you ready to own your first home? Do you have enough money saved for a down payment? Have you figured out how to finance the purchase? Owning a home is the number one goal for most people, and the more informed you are, the better chances you’ll have to get into the right first home for you. The good news for Houston’s first-time homebuyers is that there are many homes on the market; however, most will not fit into the budget of a first-time buyer. But, do not despair, it is part of the process of home-ownership, a process that most commonly begins with a "starter" home that can later be used as equity when making another subsequent home purchase after a few years. After a decision to buy if at all possible is made, there will also be other information the first-time home buyer should consider. Selecting a home is as important as choosing a lender. You certainly want to make sure you can repay your mortgage as the whole deal could end badly if financial trouble occurs and the mortgage payments cannot be met. The purpose of buying a home is usually building equity, and losing a home is much more than merely being without a place to live, it also affects your creditworthiness and has a severe impact on your financial options for your future. The best course of action for most first-time homebuyers is consultation beforehand with professional private real estate lender. Can You Get a Loan with Bad Credit, an ITIN number, or as a Foreign National? The short answer to this question is yes, but it comes with certain restrictions. Typically, these are the riskiest loans for lenders, which require a substantial amount of money towards the down payment to offset that risk. In addition, proving the ability to repay will highly impact the lenders decision in granting the loan. If you have little to no credit, Houston hard money lenders may use alternative sources of credit that can prove your credit worthiness from landlords, including apartment complex, utility payments or from other third-party sources. Houston Hard money lenders realize people can experience financial difficulties from time to time. Therefore, a minimum credit score is not typically required, as long as you can prove timely payments before and after each extenuating circumstance. What Should I Know About Houston Housing? Can I Buy a House if I Am on H1B Visa? Qualified borrowers can purchase a home regardless of their legal/immigration status. Houston Hard Money Lenders require a 30% cash down payment, proof of the ability to repay the loan and a full application and credit check. Never assume your dream of owning your own home is not attainable without first investigating the details of purchasing. Clearly, the better the home you find and purchase, the better your life can be. Contact the home buying professionals at AMI Lenders. We’ll show you how easy it could be to have that dream home sooner than you think. We will walk through the possible pitfalls first-time homebuyers run into and help you avoid them. Settling on the right home always takes a plan for any buyer, and there is no such thing as too much information when you are exploring your home purchase options. The Private Mortgage Lenders at AMI Lenders will put their experience and resources to work for you today. Your (first) dream home may be waiting!